African Mango Advanced Review | Buy or a Scam? African Mango Advanced, sold by Evolution Slimming, contains a 2400mg dose of pure African Mango extract per serving, meaning you have the most beneficial amount for promoting actual weight loss. African mango is a very nutritious fruit packed full of antioxidants that became extremely popular when resident doctor on the Oprah show, Dr Oz, revealed it is a “breakthrough supplement”. There’s a 30-day money-back guarantee on all Evolution Slimming products, and this product is very reasonably priced. 5 comments Page updated Apr 12, 2019. First published Jan 26, 2012. The African Mango dieting craze has eased over the last few years, but it still remains one of the most popular superfoods on the market. 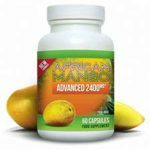 Promising an impressive double strength dose of 2400mg of pure African Mango per serving, African Mango Advanced looks to give you the maximum effect of African Mango extract. We take an in-depth look to see if it stands up to the hype. Since the secret of African Mango’s weight loss potential was revealed, there has been a surge in supplements reporting to contain genuine African Mango extract. Similar to the Acai Berry frenzy beforehand, a large number of dodgy supplements appeared that are likely to be ineffective as they contain inferior ingredients, or not enough of the correct ones. Published studies have indicated you need a minimum 300mg dose of African Mango extract in order to trigger a positive weight loss effect. African Mango Advanced contains a 2400mg dose of pure African Mango extract per serving, so you certainly get an effective amount for promoting actual weight loss. Unlike most African Mango diet pills, this supplement contains no other active ingredients, meaning you just get 100% African Mango extract and nothing else. What are the side effects of African Mango Advanced? Side effects may include headaches, flatulence, dizziness, and insomnia. How much does African Mango Advanced cost? African Mango Advanced costs £14.99 on the Evolution Slimming online store for a one-month supply. Two bottles costs £24.99, and three bottles costs £34.99. African Mango Advanced is sold by Evolution Slimming. African mango is a very nutritious fruit, packed full of antioxidants, that really took off in popularity when the resident doctor on the Oprah show, Dr Oz, described it is a “breakthrough supplement”. Dr Oz revealed that African Mango extract can deliver a number of weight loss and health benefits, he even tried it himself and lost 7 pounds. Take two tablets each morning. There are health benefits from eating African Mango, but it is the seeds that produce African Mango Extract that contains the weight loss properties. Interestingly, it is not just any mango, but the African Mango, that is thought to contain such potent weight loss properties. In fact, it is the African mango seeds and not the fruit, known by it’s Latin name Irvingia Gabonensis, that have been shown to have positive health and weight loss properties. What does African Mango Advanced claim to do? The most quoted study that has shown African Mango extract (Irvingia gabonensis) to work was undertaken by the University of Yaounde in Cameroon and published in 2009. They studied 100 overweight participants during a 10-week trial and divided them into two groups, a control and placebo group. 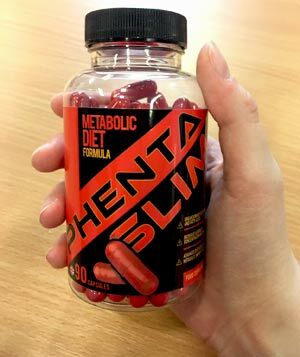 Both groups were monitored during a 10-week period and, unknown to the subjects, one group took a 300mg serving of African Mango extract whilst the other took a sugar pill. The results were startling, and made the scientific community take note of this important discovery. The results showed the group who took African mango extract lost around 28lbs during the 10 weeks, resulting on an average 3.2% reduction in their body fat. Along with an average drop in waist size the group also experienced a significant reduction in bad LDL cholesterol levels, highlighting the potential of African mango for improving health. Unsurprisingly, the placebo group lost little, if any, weight at all. Does African Mango Advanced work? African Mango works in a number of ways to help weight loss, through suppressing appetite, controlling food cravings, and burning excess fat stored in tissue. Unique to African Mango is the powerful effect that it has on two natural hormones in the body, leptin and adiponectin, that have been strongly linked with obesity. Researchers consider other health benefits are possible too, such as improved digestion due to the fiber content in African mango seeds, along with the removal of toxins in the body. The only active ingredient is African mango extract (Irvingia gabonensis), with the equivalent of 2400mg per serving. If you take authentic African mango extract, there are not thought to be any serious side effects. 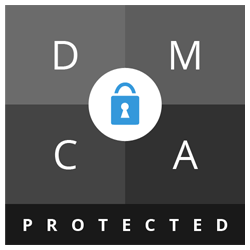 A few consumers have experienced minor symptoms, such as headaches, flatulence, dizziness and insomnia. These symptoms could be associated with a change in diet and could occur from increased fibre intake or reduced water intake. I lost 7 pounds without making any changes in my usual healthy diet and exercise routine! I began recommending it to my patients who needed to lose weight…. A full 30-day money-back guarantee is available. African Mango Advanced costs £14.99 on the Evolution Slimming online store for a one-month supply. A two-month supply costs £24.99, and a three-month supply costs £34.99. Whilst many manufacturers make bold claims about African mango, they are not magic pills that will make you instantly shed all your excess weight. However, the conclusive findings from published studies on African mango have caused real excitement amongst researchers and consumers alike because African mangoes one of the few superfruits that have been shown to work, with clinically proven weight loss in the region of 12lbs in one month. Considering the other health benefits to taking African mango, such as reducing bad LDL cholesterol and helping cleanse your body of toxins, it is safe to say that African Mango Advanced is a decent choice for weight loss. 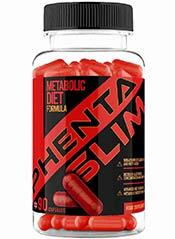 How does African Mango Advanced compare to Phentaslim? Can these and Phentaslim be taken together? Thank you so much for these reports, especially the one on SlimToneplus – what a scam! Anyway, I read the study on African Mango Extract and it stated that it was conducted using the original product which included IGOB131 150mg. I have seen many products advertised, but none of them specify this ingredient. Do you know which product is EXACTLY the same as the original? Same question! Can you take acai plus extreme and African mango together?